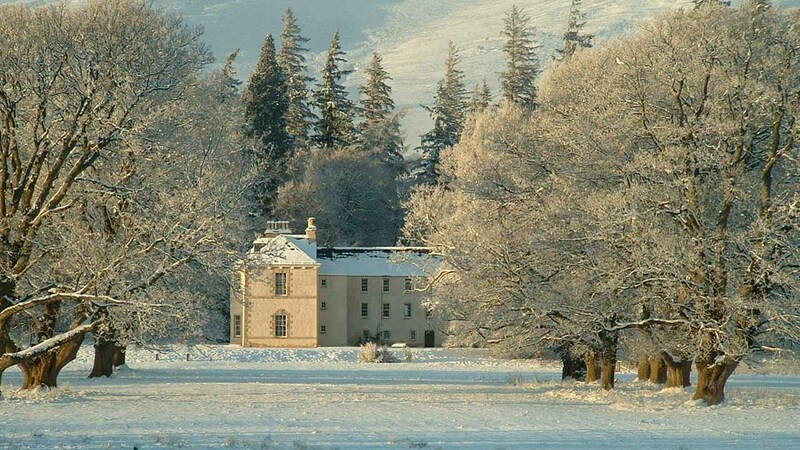 As you approach the traditional family home of the Grants of Rothiemurchus, an elegant country house looking over a peaceful 19th century designed landscape with mature specimen trees and spectacular views, it is difficult to believe that the first buildings on this ancient site had a very different purpose. The clues are in the name and the flat topped mound on the North side of the house. ‘Dun’ derives from the Scots Gaelic dùn (fortification); these circular hill forts of the Bronze and Iron Ages in Scotland, about 1500 BC, built on naturally strategic sites, at Rothiemurchus possibly glacial deposit, ranged from simple fortified settlements built of stone and timber to more elaborate ring forts surrounded by a series of ditches and earth dykes. It appears from the masonry, that the present Doune House could have been part of a settlement or possibly defended courtyard below and beside the Dun, possibly when the Norman motte and bailey fortifications were brought to Northern Scotland in the 12th & 13th C.
It is likely that the ‘Dun’ was not rebuilt after Comyns burnt and destroyed the timber fort or palisade on top of the Dun in 1411, and that the Shaws defended the site of the present Doune House even after they lost Rothiemurchus in 1540, first to the Gordons and then in 1542 to John Grant 4th of Freuchie and his son Patrick Grant of Muckerach – “gin they could win it”. 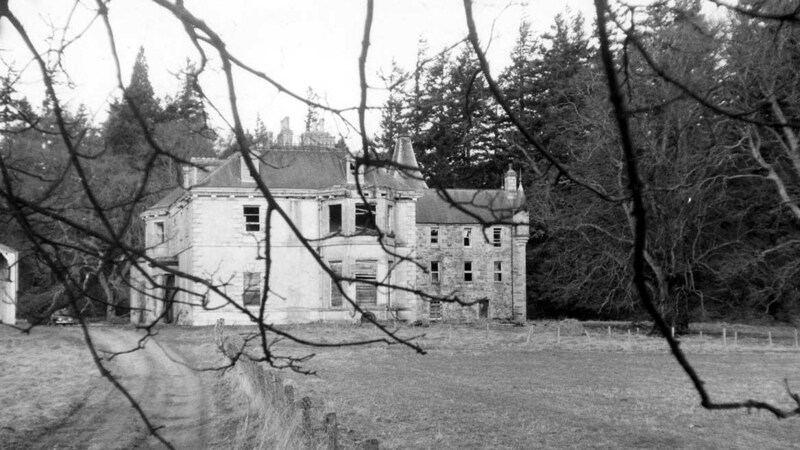 There is evidence that the Shaws fought to keep the Doune site until 1570 and only finally gave up their claim when Alan Shaw was outlawed for the murder of his stepfather and in 1586, compelled to leave the country. Elizabeth Grant in ‘Memoirs of a Highland Lady’ describes how John Grant and/or his son Patrick repaired the ruins on Loch-an-Eilein in case of mishap, and destroyed the old fort of the Shaws on the Doune Hill, “leaving his malediction on any of his successors who should rebuild it.” The only evidence of the fort is the flat topped hill and the ditch or rampart. Patrick Grant 6th of Rothiemurchus known as ‘McAlpin was born in 1665 and in the late 17th C is said to have moved from the Dell of Rothiemurchus to the ‘fine house’ he built at the foot of the ‘Dun’, taking with him a carved armorial stone celebrating his great grandfather’s marriage in 1590 to Jean Gordon. About 100 years later in the 1780s, Dr. William Grant “anticipating a much longer tenure undertook many improvements. To the end of the old house opposite the black kitchen he stuck an outrigger of an overwhelming size containing a dining room, a library with cellars below”. “A couple of good bedrooms above reached by a turning stair” were built to form a Georgian front to the house. 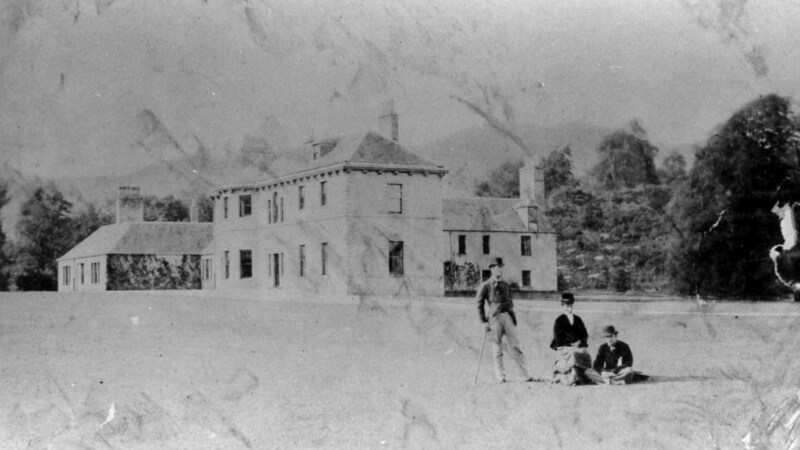 By 1803 further “great changes” had been made by his son, Sir John Peter Grant, the 9th Grant of Rothiemurchus an English Barrister, Scottish Advocate and Whig M.P. which continued until 1821. He added a staircase, morning room, more bedrooms, a new kitchen wing and third floor to the original house. The ‘new’ Doune house exterior restoration has returned the main front of the house to this period. September to March on the first Monday of every month, 10.00 to 12.00 and 14.00 to 16.00 (except after dusk). There is no charge for this tour, except for groups of over 5 people, however, we welcome donations to Maggie’s Highlands Cancer Support Centre. Pre-booked visitors can enjoy the weekly guided visit to the partial ‘new’ Doune repair and completed old Doune as part of The Highland Lady Safari tour which meets at Rothiemurchus Centre every Wednesday and for groups by special arrangement. There is a charge for this tour. For further details please email hello@rothie.net or ring 01479 812345.